Should you become your parents’ financial advisor? I had a reader email me recently stating that he had inherited his parents’ financial advisor and after becoming financially literate, fired him. His parents who are a two doctor couple still use this advisor but he wants them to move on. Now he is considering taking on the role of their financial advisor himself. My answer? Tread carefully! There are many things that are unique about the distribution phase that you will need to learn, that don’t apply to your situation in the accumulation phase. There are relationship risks involved with being your parents’ financial advisor, both with your parents and with your siblings when you are managing their inheritance. There is definitely a conflict of interest when you are managing your parents’ finances. In this episode I discuss some things you will have to navigate in the situation if you take on this role. But the bottom line is if you wouldn’t feel comfortable giving financial advice to other people, you might want to be careful functioning as your parents’ financial advisor. 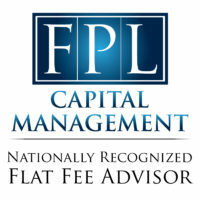 You can easily get them into a very low-cost financial advisor who is giving them high quality advice. Late to Medicine, What are the Priorities? This episode is sponsored by our friends at Zoe Financial. The most common misstep people make with their financial planning is not starting today. The second most common misstep is partnering with the wrong advisor. Zoe Financial makes it easy to find a trustworthy and experienced advisor to help you reach your unique financial goals. As the premier network of independent fee-only advisors and planners, Zoe Financial rejects 95% of the advisors who interview to join their network, so you don’t have to waste time speaking with unqualified advisors and salespeople. Your patients trust and depend on you every day. 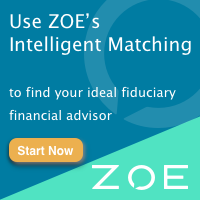 Trust Zoe to connect you with an independent, fiduciary financial advisor you can depend on. Visit Zoe Financial to take their guided questionnaire and schedule your free call today. Taking required minimum distributions. If you screw that up, the tax is 50% of the money you should have taken out of that account in any given year. This is not something you want to learn from experience, I assure you. 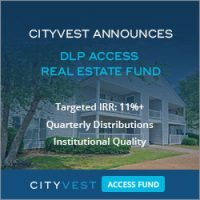 Qualified charitable distributions. If your parents are giving to charity after age 70, the best way to do that is to literally substitute a required minimum distribution out of the account and have it go directly to the charity. That is called a QCD or a qualified charitable distribution. There are some unique things about the distribution years, the retirement years, that you’re going to need to know if you’re helping your parents with this sort of a situation. If you wouldn’t feel comfortable giving financial advice to other people, you might want to be careful functioning as your parents’ financial advisor. You can get them into a very low-cost financial advisor. 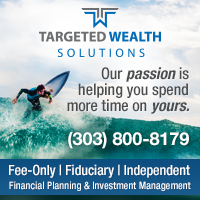 You can make sure that financial advisor is giving them high quality advice. That’s all relatively easy to do. This also gives you the benefit of being able to step back from your parents and not get so entangled in the finances. Not only does that save you a lot of time and effort, but it also keeps them from blaming you when things go wrong. Imagine you’re investing your parents’ money and 2008 happens. All of a sudden they lose 25-30% of what they’ve saved for their retirement. They go looking for someone to blame. Guess who they’re coming after? They’re coming after you, and that could ruin your relationship, just to save them a management fee. That might not be the best idea. How will your siblings feel if they know you’ve got your hand all over your possible future inheritance? That might not go over well. There are serious relationship issues here to consider. The other thing is that, just like an advisor, all of a sudden you now have a financial conflict of interest. You have this interest in having them not spend your money. Yes, you want that portfolio to become as big as possible, but you also maybe don’t want them to spend their money because that would mean a larger inheritance for you. Whether that actually affects the advice you give and how you manage that money or not, I can’t say, but it might look bad both to your parents and other members of the family because you have that financial conflict of interest. Regular readers and listeners know that I help my parents manage their portfolio but I’ve had to learn a fair amount of stuff that didn’t apply to my portfolio in order to do that. If you do end up going down this road, I suggest you do what I do, and encourage your parents to spend more money at every possible opportunity. Most of our parents that have done well enough financially that they have enough money to be worth managing, are probably a little bit of cheapskates and need a little more encouragement to help them spend. I don’t think it is the end of the world to help your parents with their finances. I helped mine escape from a terrible financial advisor about 15 years ago, and they’ve done very well since. They trust me, they are okay with it and none of my siblings have complained about it yet. But you want to make sure you’re doing it well and make sure that it’s actually worth the time and hassle and relationship risks involved. As soon as you die, your HSA is no longer an HSA. Yes, there’s a beneficiary, someone that receives the money, but it’s no longer an HSA to them. What it is to them is fully taxable income at their ordinary income tax rate. Now, income is great. I’m sure they’ll appreciate you giving it to them. Everyone wants to get an inheritance but this isn’t like an awesome account to inherit. What you want to inherit is a ROTH IRA, because you can stretch that out for decades. It’s wonderful. It’s tax free for you. A traditional IRA, while it’s not tax free, can also be stretched for decades, meaning you only take a little bit out each year and it continues to grow in a tax-protected manner. Inheriting a taxable account is great too whether it is real estate or whether it is mutual funds. You get a step up in basis on death. But an HSA, that is not great to inherit. An HSA is an account you should probably try to spend during your lifetime because you are basically leaving your heirs a fully taxable asset. It is just like it was part of their income that year. Sounds to me like he needs a new accountant. 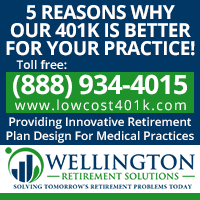 A typical doctor shouldn’t be using a SEP IRA. They should be using an individual 401K, and the main reason why is so that you can continue to do a backdoor Roth IRA each year. If you have a SEP IRA, that gets included in the pro rata calculation that takes place on line six of Form 8606, where you report your backdoor Roth IRA to the IRS. You are not allowed to have any money in a traditional IRA, a SEP IRA, or a simple IRA on December 31st of the year you do a Roth conversion or you end up paying a bunch of tax you didn’t have to pay and it gets messy, so you’re much better off just using an individual 401K. For a doc that is not making a ton of money, you can actually get more money into an individual 401K than you can a SEP IRA. You can just max it out on a lower income because part of the contribution is an employee contribution, and you don’t have to have quite as much income to max it out. I get this question all the time. 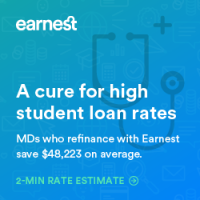 This particular doctor is three years out of residency and is set to pay off his loans in three more years with a 4% interest rate. He is maxing out his tax-advantaged retirement accounts and looking at taxable accounts so he is saving 15% towards retirement. Of course, the dilemma is he also wants to pay down those loans and save for a home down payment. He has some money coming from an academic award for the next two years and wanted to know how he should best use that money. I’ve written about half a dozen blog posts about this debt vs investing question and the bottom line is there is no answer. There is no answer as to what the right thing to do is. Paying off student loans is good. Maxing out retirement accounts is good. Saving up a down payment on your home is good. I can’t tell you what the best answer is for money that you don’t spend this month from your paycheck or from any other source of money. You need a written plan to decide what you’re going to do. Personally, I think your plan ought to be to be rid of your loans within five years. If you’re on track to have your loans gone within five years, then I think you’re okay investing the rest, especially if you got some tax-advantaged account space still available to you, but even if you’re investing in a taxable account, as long as those student loans are going to be gone within five years of residency graduation, I think you’re doing fine. He discussed using a Physician Mortgage Loan. But I like the use of a home down payment. If you can save up 20% to put down, you get to use a conventional loan, and you can get a lower interest rate, lower fees, and you have more people competing for your business. The process just goes a lot more smoothly. So all these are great uses for your money. If you live like a resident, you should be able to do all three of them within just a few years out of residency, so I don’t know that I have any particularly awesome advice for this doc, but it sounds like he’s doing pretty great, to be honest and I’m very impressed. A listener asked me what riders she should get on her disability insurance policy. Disability insurance is one of those things that, in general, you get what you pay for. 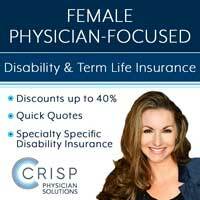 You want to make sure you’re buying the right policy for your specialty, your state, your gender, and your medical conditions. Once you have done that look at the riders and decide what benefits you want. A residual or partial disability rider. It protects you in the event that you are only partially disabled. Otherwise, you have to be completely disabled to get a payout. That doesn’t sound like a good idea, so make sure you get that rider. It also helps protect you as you come back from a disability. A cost of living adjustment rider, especially if you are buying the disability policy early in your career. Once the policy starts paying out because you’re disabled, it will increase each year with inflation up to a max of typically 3%-6%. Remember, these policies only pay until you’re 65 or 67, though, so if you’re already 58 and you’re buying a policy, you probably don’t need the cost of living adjustment rider. In fact, a good way to save money on disability insurance as you get older is dropping riders like that. 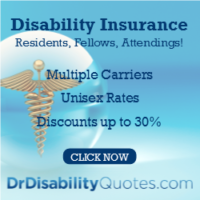 A future purchase option rider, especially if you are buying a disability insurance policy in residency. That allows you to buy more disability insurance in the future, at a higher rate, yes, but without having to prove that you’re still insurable, and so if you have developed a medical problem or you take up scuba diving or rock climbing in the meantime, you can still force them to sell you disability insurance at the same rate class that you were in previously when you bought the policy. I think that is worthwhile, particularly for a resident who usually isn’t allowed to buy as much disability insurance as she needs and who usually can’t afford to buy as much as she needs. If you’re already an attending, just buy as much as you need. You never will need more disability insurance than what you need as you walk out the door of residency, and so just buy it rather than buying a future purchase option. Spend those dollars on a larger policy. There are lots of other riders out there. I’m not a huge fan of catastrophic riders that are offered, but if you want to buy one, that’s okay with me. Basically, those riders pay you more if you’re really disabled, if you have two or three activities of daily living you can’t do and you have to hire help, this pays you a little bit more. Personally, I would not get that rider. I would just buy a bigger policy. Same with the retirement riders that you see out there. The idea behind these is that they give you some extra money to save for retirement, but they also usually provide the investment that you’re going to use to save for retirement. It is usually an overpriced annuity, and so I would probably avoid that rider. Instead, I would just get a bigger benefit so that you can save for retirement using the proceeds of your disability insurance benefit. Remember, the insurance is only going to pay until you’re 65 or 67. After that, if you haven’t saved for retirement, you’re going to be living on Social Security, so you need to make sure you buy a big enough policy that it can cover not only your living expenses, but also allow you to save for retirement. A reader emailed me asking what I thought a decent annual contribution for 529s is. That is like asking how much do I need to save for retirement? Well, how much money do you need in retirement? How much do you want in retirement? It is the same problem with college. A defined benefit. Basically, you’re saying when they turn 18, I want to have 50 grand or 100 grand in there or whatever you want to have. A defined contribution. This is what I’ve used most of the time for my kids. I’ve just decided that this year, I’m going to put this much in, and usually that’s $4,000 because that’s what Utah will give me a tax credit on, my first $4,000 per kid that I put into the account, and so that’s what I’ve done over the years. That is going to reach our goal because our goal was never to pay for the whole thing in the first place and we live in Utah, which has like the cheapest colleges in the country. The two best institutions in the state charge six or seven or $8,000 a year in tuition. It’s just not that expensive here, and so it doesn’t take that much money to pay for the whole thing, much less the portion we were planning on paying for our kids. But if you’re planning on paying for everything, you’re planning on sending them to a really expensive school, you are going need to put a lot of money in there. This is a common question, and actually a surprisingly complex question when you really dive into the numbers, but the general rule of thumb is that during your peak earnings years, you want to use the tax-deferred option in your retirement accounts. That is because you are saving money at the highest rate you’ll be paying taxes in your entire life, and then at a later point, you can take that money out at a lower effective tax rate because money you pull out of these accounts can be used to fill the lower brackets. In other years, such as residency, the year you leave residency, any year that you have an extended maternity or paternity leave or a sabbatical or early retirement years as you’re kind of easing into retirement, those are all great years to use a Roth 401K. Now there are some exceptions to this. If you have a fear of tax rates being dramatically increased in the future, you may want to hedge your bets a bit and put a little more into the Roth side. You may also want to use a Roth if you have a lot of other income expected in retirement, like a pension or perhaps a lot of rental property, that sort of a thing, and of course, super savers may also want to favor putting a little more money into a Roth 401K. I’m talking about the kind of people that are saving 50% of their income and planning on working a full career. But for most attendings in their peak earnings years, you’re going to want to use a tax-deferred option in your retirement accounts. I was asked for my thoughts on annually renewable life insurance. The drawback is the price goes up every year, but if you’re going to become financially independent relatively early in life, you’ll actually end up paying less for your life insurance by using annually renewable term than you will buying a 20 or 30 year level term policy. The downside, of course, is if you end up needing it for 30 years, well, it’s going to get pretty expensive toward the end of that 30 year period and you might be tempted to cancel it before you really should. But you know what? If I went back to do it all over again, I would have bought annually renewable term because I’m becoming financially independent relatively early in life and that would have been the right choice for me. There are a lot of changes to the tax code that took place about a year ago. We did lots of blog posts and a podcast about it at that point, but the main ones that are going to affect docs starting in 2018 (this started a year ago, just because you’re reporting those taxes this year) are that the brackets are lower. We’re just paying less in taxes most of us because of that. We also lost the ability to deduct unreimbursed employee expenses. That was something that was subject to the 2% floor on Schedule A and is basically now gone. The big change is the 199A deduction. This is the pass-through business deduction that we’ve all been trying to wrap our heads around for the last year. I think it’s going to become a lot more obvious in the next few months as we prepare our taxes what the rules are on that, and I plan some blog posts to talk about working through the forms where you report that, but I’m expecting a pretty big deduction for it from my work with the White Coat Investor. A lot of doctors will get a deduction as well, as long as they’re not particularly well-paid doctors. If they can get their taxable income for their family down below $315,000, it doesn’t matter that they’re doctors. If they’ve got business pass-through income, they’re going to be able to take that deduction. Above that limit, doctors are specifically excluded from getting that deduction, unfortunately. Another big change is the SALT limitation. It used to be a lot of docs itemized their deductions because they were paying a ton of money in local property taxes and state income taxes. So there are some docs in places like California and New York who lost this deduction, and because of that deduction, their tax bill is actually going up, despite the fact that the income brackets are lower. That’s very unfortunate, but there is not a lot you can do about it at this point. If you’re one of those people that your tax bill went up hopefully you can get something else out of the tax changes that will help reduce that. All of us are going to benefit from the simpler 1040, which is a nice change. Of course, all the stuff that used to be on it is just now on new schedules. They have moved those lines somewhere else in the tax return, so it’s really not that big of a difference. Of course, another big change is the higher standard deduction and the elimination of personal exemptions, so a married couple now gets $24,000 as a standard deduction, and so a lot of us that used to itemize aren’t going to itemize now, which does simplify our taxes a little bit. Doctors are going to be among those that are probably still going to itemize, but a lot of Americans won’t be itemizing now where they used to. My first thought was $250,000 or $300,000 didn’t seem like much income for a GI doc, so I’d really see if you can get that income up and maybe look at that contract, look at other jobs, do some moonlighting, etc. But second, this is only $84,000. It’s not like you stand to get $200,000 or $300,000 or $400,000 forgiven and you’ve only got 50 or 60 payments toward it, so by the time all is said and done here, what are you going to get forgiven, $30,000 or $40,000? Is that really worth dragging them out for another five years? I don’t think it would be to me. If I had $84,000 in student loans and I made $300,000 a year, those loans would be gone in six months. No kidding. I’d pay them off in six months and I’d be done with them, so I’d refinance in that situation and pay them off. Is it possible that the math would work out so you could come out ahead stretching these things out for another five years and getting 40 grand forgiven? Yeah, it’s possible, but I don’t think I’d bother. I think I would pay them off. I suspect the numbers probably do work out that holding on to it and getting public service loan forgiveness comes out ahead, but it might be worth just getting rid of these things and getting them out of your life so you can move on. Another listener that recertified his full-time job for PSLF and does some moonlighting at another 501c3 asked me about certifying that moonlighting employer. You only need one qualifying employer. If you’re working full time directly employed by a 501c3 and you fill out the form every year, that’s good enough. Going to one you’re working at part-time isn’t going to make it any more likely for you to get public service loan forgiveness. One is plenty. Lots of problems here. First of all, the main problem is the way we are looking at money. For example, “I had to pay cash for private college for kids while completing residency”. No, you didn’t. They can take out student loans. They can go to a cheaper college. They can be responsible for the cost of their own education. There is no reason a resident should feel obligated to put a couple of other people through a private college. It is nice that you wanted to do that. I’m sure they really appreciate it, but you really weren’t in a position to do that. You basically have a net worth of zero at this point with $300,000 towards retirement and a $300,000 student loan. He needs to get real serious about finances very soon or there is not going to be much of a nest egg to live on. A lot more money needs to go towards building wealth and towards paying off the loans. A late start to medicine isn’t like a pass to not save. It basically shortens the runway and you have to get off the ground faster. That means you can’t carry as much weight in the plane. The math just doesn’t work. You have to take something out of the plane, and that something is whatever you’re spending on now. I know you feel like you have made big cuts but the truth is you probably have to cut more and get serious about your spending plan. I would venture to say you are probably not on a written budget and need to get on one. But the question you asked was disability insurance before retirement? Yes, because if you become disabled, what are you going to do? It is not like you have all this money you can go live on. Maybe the student loans would go away and you have $300,000. I guess that’s better than nothing, but the truth of the matter is, you would have a dramatic change in your standard of living, so I think even though I hate paying the higher rates for disability insurance in your 50s, I think you need it. A late start to medicine isn’t like a pass to not save. It basically shortens the runway and you have to get off the ground faster. You can’t carry as much weight in the plane. You have to take something out and that something is whatever you’re spending on now. I hope that you find these Q&A episodes useful, that you find something you can apply to your life. I received a ton of emails and comments about the interview we did with Dr. Ramskill from the UK. You guys loved that episode. If you are a doc in New Zealand or Australia or Canada or someplace else and you want to tell us about medicine in your country and what it is like and what your finances as a doc in that country are like, I’ll bring you on the podcast. So shoot me an email if you’re interested in that. And if you have questions you want answered on the podcast please go record them here. 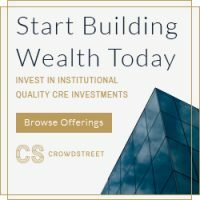 Intro: This is the White Coat Investor podcast where we help those who wear the white coat get a fair shake on Wall Street. We’ve been helping doctors and other high income professionals stop doing dumb things with their money since 2011. Here’s your host, Dr. Jim Dahle. 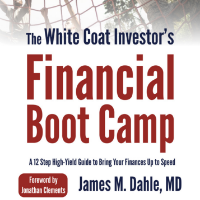 Dr. Dahle: Welcome to White Coat Investor podcast episode number 91, Becoming Your Parents’ Financial Advisor. This episode is sponsored by our friends at Zoe Financial. The most common misstep people make with their financial planning is not starting today. The second most common misstep is partnering with the wrong advisor. Zoefin.com makes it easy to find a trustworthy and experienced advisor to help you reach your unique financial goals. As the premier network of independent fee-only advisors and planners, Zoe Financial rejects 95% of the advisors who interview to join their network, so you don’t have to waste time speaking with unqualified advisors and salespeople. Your patients trust and depend on you every day. 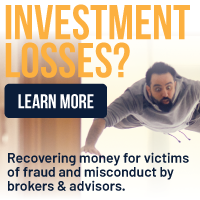 Trust Zoe to connect you with an independent fiduciary financial advisor you can depend on. Visit zoefin.com/whitecoat to take their guided questionnaire and schedule your free call today. That’s zoefin.com/whitecoat. Dr. Dahle: Thanks for what you do. I know you’re on your way into work, your way home from work, or working out, but some of you probably had a rough day, and I’m sorry to hear about that because I know that happens to me sometimes at work as well, but I want to tell you that even if nobody at work said thanks today, I’m going to thank you for what you do because I know it’s hard, and I know sometimes it’s heartbreaking and it’s difficult to make the decisions that you’re faced with each day, so thank you for that. Dr. Dahle: Also, we need more of you to send us some SpeakPipe questions. These are the questions that we actually play on the podcast. We’ve only got one for today’s episode, and I’d love to have three or four or five for every episode. You guys send me tons of questions. I get them by email, I get them by Facebook, I get them by Twitter, but actually go to the site, click on SpeakPipe, talk into your computer for 30 seconds, and send us your question. It really makes for a pretty cool interactive format. 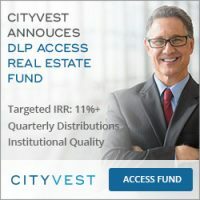 You can find that at speakpipe.com/whitecoatinvestor. It’s also on the main podcast page on this site. Dr. Dahle: Also, thank you for those of you who have left us a five-star review on iTunes. Those reviews help us get this message out to others, because when they’re looking for a new podcast, this one pops us and it becomes easier to find, so please do leave us a review on there. If you’re going to leave us a terrible review, just send me an email and tell me how to make the podcast better, but if you’re going to leave us a good review, I would sure appreciate it, and so would the future listeners of the White Coat Investor podcast. Dr. Dahle: Also be sure to sign up for the newsletter. The newsletter I send out once a month. It’s a great newsletter. It’s got a market report. 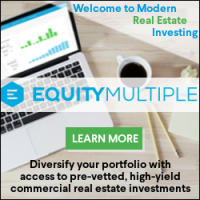 It’s got updates from what we’re doing here at the White Coat Investor. It’s got links to the best stuff on the web, and it’s got basically a blog post, a special tip that doesn’t go out to anyone else, right? It’s not on the main website. It’s basically for the super secret club that is willing to trust me with their email address and sign up for the monthly newsletter. This last month, we talked about how to get a sweet deal at theme parks, which I had never really had a great day at a theme park until I incorporated this special deal. That’s the kind of stuff you can learn in the newsletter. Dr. Dahle: Our quote of the day today comes from Taylor Larimore. Just as the gambling industry wants people to think they can beat the casino, the investment industry wants investors to think they can beat the market. Of course, a few lucky gamblers do beat the casino, but most don’t. It is the same for investors. Some will beat the market, but most won’t. Dr. Dahle: All right. Now we’re going to hear from Andy on SpeakPipe. Andy: Hi, Dr. Dahle. My name’s Andy, and I had a question regarding health savings accounts. In the event that you inherit a health savings account or you pass one along to your heirs, does the new recipient of the account able to withdraw the funds or do they incur a penalty unless the funds are used for health care costs? Thank you. Dr. Dahle: Basically, Andy is asking what happens with an inherited HSA. Well, basically as soon as you die, your HSA is no longer an HSA. Yes, there’s a beneficiary, there’s somebody that receives the money, but it’s no longer an HSA to them. What it is to them is fully taxable income at their ordinary income tax rate. Now, income’s great. I’m sure they’ll appreciate you giving it to them. Everyone wants to get an inheritance, right, but this isn’t like an awesome account to inherit. What you want to inherit is a ROTH IRA, because you can stretch that out for decades. It’s wonderful. It’s tax-free for you and you can use it. A traditional IRA, while it’s not tax-free, can also be stretched for decades, meaning you only take a little bit out each year and it continues to grow in a tax-protected manner. Dr. Dahle: Inheriting a taxable account is great too, you know, whether it’s real estate or whether it’s mutual funds. You get a step up in basis of death, but an HSA, nope. That’s not great to inherit. An HSA is an account you should probably try to spend during your lifetime because it’s not a great one to leave to your heirs. You’re basically leaving them a fully taxable asset. It’s just like it was part of their income that year. Dr. Dahle: Well, obviously if one of my patients Googles my name, they’re going to learn an awful lot about me. That is something I’ve thought about and that I’ve worried about a little bit, but the truth of the matter is, all your patients assume you have deep pockets whether you have a blog online or not. They think you’re rich because you’re a doctor. They know you have a malpractice policy, and so if they feel like they can sue you and get money, they may very well do that. Dr. Dahle: I supposed there’s probably a little bit more personal liability when you have a big social media or online presence, and so I’ve tried to carry insurance for that as well and be smart in what I do, but there’s no doubt that I have more risk than you do as a listener of the White Coat Investor podcast because I am creating it, and I’m not sure how to fulfill the mission of the White Coat Investor without doing that. Certainly trying to be anonymous would not have worked nearly as well in trying to fulfill this mission, and so I suppose it’s just a risk I’ve decided to take, but we’re doing a few things to reduce that risk and may continue to do more in the future. Dr. Dahle: Sounds to me like you need a new accountant. The first one either wants you to invest in a taxable account instead of a Roth IRA or just doesn’t know that that’s not good advice for a typical doc. A typical doctor shouldn’t be using a SEP IRA. They should be using an individual 401K, and the main reason why is so that you can continue to do a back-door Roth IRA each year. If you have a SEP IRA, that gets included in the pro rata calculation that takes place on line six of Form 8606. That’s basically where you report your back-door Roth IRA to the IRS, and you’re not allowed to have any money in a traditional IRA, a SEP IRA, or a simple IRA on December 31st of the year you do a Roth conversion or you end up getting that conversion pro rata’d, and really what ends up happening is you end up paying a bunch of tax you didn’t have to pay and it gets messy, so you’re much better off just using an individual 401K. Dr. Dahle: For a doc that’s not making a ton of money, you can actually get more money into an individual 401K than you can a SEP IRA. You can just max it out on a lower income because part of the contribution is an employee contribution, and you don’t have to have quite as much income to max it out. Dr. Dahle: All right, here we are. This is the theme of this particular podcast episode, right? I titled it Becoming Your Parents’ Advisor. Tread carefully doing this for a few reasons. Number one, when someone first starts learning about finance and investing, they get super excited and want to go out and convert the world, and they still have a little bit to learn. Not only do you have to now understand the topics of personal finance and investing that apply to you, but you also have to understand the ones that apply to your parents. Now, regular readers and regular listeners know that I help my parents manage their portfolio, but I’ve had to learn a fair amount of stuff that doesn’t apply to my portfolio in order to do that. Dr. Dahle: For example, taking required minimum distributions. If you screw that up, the tax is 50% of the money you should have taken out of that account in any given year. This is not something you want to learn from experience, I assure you. Other things, such as qualified charitable distributions. If your parents are giving to charity after age 70, the best way to do that is to literally substitute a required minimum distribution out of the account and have it go directly to the charity. That is called a QCD or a qualified charitable distribution. Dr. Dahle: There are some unique things about the distribution years, the retirement years, that you’re going to need to know if you’re helping your parents with this sort of a situation. That’s one thing is you really got to know what you’re doing, and if you wouldn’t feel comfortable giving financial advice to other people, you might want to be careful functioning as your parents’ financial advisor. You can get them into a very low-cost financial advisor. You can make sure that financial advisor is giving them high-quality advice. That’s all relatively easy to do. Dr. Dahle: That also gives you the benefit of being able to step back from your parents and not get so entangled into the finances. Not only does that save you a lot of time and effort, but it also keeps them from blaming you when things go wrong. Imagine you’re investing your parents’ money and 2008 happens, right, and all of a sudden they lose 25, 30% of what they’ve saved for their retirement. They go looking for someone to blame. Guess who they’re coming after? They’re coming after you, and that could ruin your relationship, and why, just to save them a management fee. That might not be the best idea. Dr. Dahle: Other things to consider. How will your siblings feel if they know you’ve got your dirty little paws all over your possible future inheritance? That might not go over well. There are serious relationship issues here to consider. The other thing is that just like an advisor, all of a sudden you’ve now got a financial conflict of interest. You’ve got this interest in having them not spend your money. Yes, you want that portfolio to become as big as possible, but you’re also maybe don’t want them to spend their money because that would mean a larger inheritance for you, and so whether that actually affects the advice you give and how you manage that money or not, I can’t say, but it might look bad both to your parents and other members of the family because you have that financial conflict of interest. If you do end up going down this road, I suggest you do what I do, and encourage them to spend more money at every possible opportunity. Most of our parents that have done well enough financially that they have enough money to be worth managing are probably a little bit of cheapskates and need a little more encouragement to help them spend. Dr. Dahle: I don’t think it’s the end of the world to help your parents with their finances. Like I said, I helped mine escape from a terrible financial advisor about 15 years ago, and they’ve done very well since. They trust me, they’re okay with it, none of my siblings have complained about it yet, and it’s been fine. But you want to make sure you’re doing it well and make sure that it’s actually worth the time and hassle and relationship risks involved. Dr. Dahle: All right, next question. 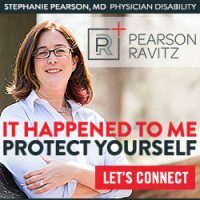 “I enjoyed listening to the latest podcast with Dr. Ramskill from the U.K. It’s very interesting to listen to the differences, similarities, and challenges facing docs in different countries, so maybe you could tour the medical world via podcast interviews,” and this person even gave me a suggestion of a doc in Canada. Dr. Dahle: Here’s the deal. I got a ton of emails and comments about this. You guys loved that episode, so if you are a doc in New Zealand or Australia or Canada or someplace else and you want to tell us about medicine in your country and what it’s like and what your finances as a doc in that country are like, I’ll bring you on the podcast. The only requirement is you’ve got to be able to speak English and your accent’s got to be reasonably easy to understand for our listeners. Most of our listeners are in the U.S., but we do have some that are in other English-speaking countries. If you would like to be on the podcast, we will bring you on, so shoot me an email if you’re interested in that. Dr. Dahle: Okay, next question, this one also by email. “I first want to thank you for the wealth of knowledge you have so generously shared over the years. I was first introduced to your book and subsequently your blog by an attending physician.” Thank you whoever did that. You just saved somebody’s financial life. “I also heard praises about your book from my best friend who’s a physician as well, and have since become an avid listener of the White Coat Investor podcast.” Thank you for listening. “I was hoping to pick your brain a bit and get your advice. I currently work at a CHC, a community health center, in the Northeast. I earn about $200,000. I’m three years out of residency and set to finish paying off my loans by 2022. 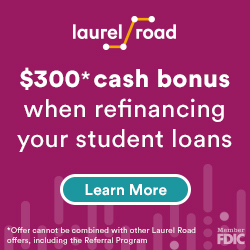 I refinanced my higher interest loans with Laurel Road at 4% and the remaining loans that were less than 4%, I kept with their current lenders and am paying extra and ensure a five-year payoff.” Great job. I don’t think you’ll regret paying off your loans within five years of graduation. “I have $86,000 left outstanding in student loan debt.” That’s great. Dr. Dahle: Okay, so this is a question I get all the time. This is pay debt versus invest. I’ve written about half a dozen blog posts about this, and the bottom line is there’s no answer. There’s no answer as to what the right thing is to do. Paying off student loans is good. Maxing out retirement accounts is good. Saving up a down payment on your home is good. I can’t tell you what the best answer is for money that you don’t spend this month from your paycheck or from any other source of money. You need a written plan to decide what you’re going to do. Personally, I think your plan ought to be to be rid of your loans within five years. 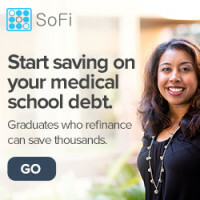 If you’re on track to have your loans gone within five years, then I think you’re okay investing the rest, especially if you got some tax advantaged account space still available to you, but even if you’re investing in a taxable account, as long as those student loans are going to be gone within five years of residency graduation, I think you’re doing fine. Dr. Dahle: I also like the use of a home down payment. If you can save up 20% to put down, you get to use a conventional loan, and you can get a lower interest rate, lower fees, you’ve got more people competing for your business. The process just goes a lot more smoothly. 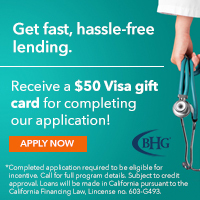 It’s not that physician mortgage loans are bad. If you’ve got a better use for your money, like maxing out retirement accounts or paying off student loans, I think it’s okay to use them, but that’s a great use of money as well. All these are great uses of money. If you live like a resident, you should be able to do all three of them within just a few years out of residency, so I don’t know that I have any particularly awesome advice for this doc, but it sounds like he’s doing pretty awesome to be honest and very impressed. Dr. Dahle: All right, next question is a short one. 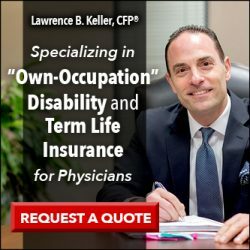 “As a physician, what riders should I get on my disability insurance?” Well, disability insurance is one of those things that in general, you get what you pay for. 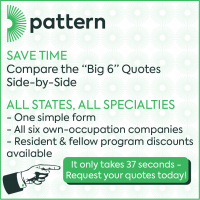 You want to make sure you’re buying the right policy for your specialty, your state, your gender, your medical conditions, but once you do that is you look at these riders, you look at them and go, well, what benefits do I want? Each one is going to cost you more. Dr. Dahle: One that I think every doc ought to have is a residual or partial disability rider. What that does is it protects you in the event that you are only partially disabled. Otherwise, you have to be completely disabled to get a payoff. That doesn’t sound like a good idea, so make sure you get that waiver. It also helps protect you as you come back from a disability. Dr. Dahle: Another one that I think is worth buying, especially if you’re buying a policy relatively early in your career, you know, 20s, 30s, 40s, I think this is worth buying, is a cost of living adjustment rider. What that does is once the policy starts paying out because you’re disabled, it will increase each year with inflation up to a max of typically 3% or 6%. Remember, these policies only pay until you’re 65 or 67, though, so if you’re already 58 and you’re buying a policy, you probably don’t need the cost of living adjustment rider, and in fact, that’s a good way to save money on disability insurance as you get older is dropping riders like that. Dr. Dahle: Another one that’s worthwhile, particularly if you were a resident buying a policy, is a future purchase option rider. What that allows you to do is buy more disability insurance in the future, at a higher rate, yes, but without having to prove that you’re still insurable, and so if you develop a medical problem or you take up scuba diving or rock climbing in the meantime, you can still force them to sell you disability insurance at the same rate class that you were in previously when you bought the policy. So I think that’s worthwhile, particularly for a resident who usually isn’t allowed to buy as much disability insurance as she needs and who isn’t usually, usually can’t afford to buy as much as she needs. I think that one’s great for residents. If you’re already an attending, just buy as much as you need. You never will need more disability insurance than what you need as you walk out the door of residency, and so just buy it rather than buying a future purchase option. Spend those dollars on a larger policy. Dr. Dahle: Now, there are lots of other riders out there. I’m not a huge fan of catastrophic riders that are offered, but if you want to buy one, that’s okay with me. Basically, those riders pay you more if you’re really disabled, if you can’t do more than … if there are two or three activities of daily living you can’t do and you’ve got to hire help, this pays you a little bit more. Personally, I would not get that rider. I would just buy a bigger policy. Dr. Dahle: Same with the retirement riders that you see out there. The problem with these riders, the idea behind them is they give you some extra money to save for retirement, but they also usually provide the investment that you’re going to use to save for retirement. It’s usually an overpriced annuity, and so I would probably avoid that rider. Instead, I would just get a bigger benefit, spend that money on just getting a bigger policy so that you can save for retirement using the proceeds of your disability insurance benefit. Remember, this thing’s only going to pay until you’re 65 or 67. After that, if you haven’t saved for retirement, you’re going to be living on Social Security, so you need to make sure you buy a big enough policy that it can cover not only your living expenses, but also allow you to save for retirement. Dr. Dahle: Well, I got four questions from this doc, but this is the first one, and this is a great question. Anybody willing to sell me a million dollar property for $650,000, I’m going to buy as many of them as I can. 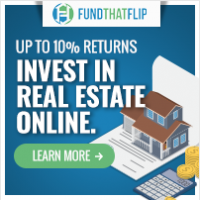 I’m going to leverage everything I own to get that kind of instant return. Now granted, his parents might not like it, or his in-laws if he pays $650,000 for this property and turns around next week and sells it for a million and pockets the difference, but that’s basically what we’re talking about. Of course, when somebody’s willing to sell you something for two-thirds of its market value, you ought to buy it if there’s any possible way you can, and in this sort of a situation, geez, call me up. I’ll loan you the money to buy it if this thing’s really worth a million dollars. It shouldn’t be any trouble at all to raise that kind of money for that sort of an investment return, so I definitely would support that sort of a thing if you can at all afford it. Dr. Dahle: Just make sure that you know about any strings that are attached. Maybe you have to keep renting to your cousin or something, or maybe your in-laws expect you to hold onto it for at least five years, those sorts of situations, maybe you want to think twice about it, but if the idea is that it’s now yours and you can do whatever you want with it, which is really legally what the situation is once you buy it, then sure, I’d take that sort of a deal any time. Dr. Dahle: Next question is, “What do you think is a decent annual contribution towards a 529 for each of my kids? There’s a four-year-old and a one-year-old if I’m starting now.” That’s like how much do I need to save for retirement? Well, how much money do you need in retirement? How much do you want in retirement? It’s the same problem with college, right? Dr. Dahle: First you’ve got to define your goal. If your goal is to have $50,000 in 18 years, you don’t have to put that much money in there if you’re starting at one year old. If your goal is to have $400,000, you’re going to have to put a lot of money in there. If your kid’s already 15, you’ve only got three years to save, you’re going to have to put quite a bit of money in there, but this is just a math problem. Figure out how much you want to have in there, and then work backward to figure out how much you’ve got to put in there. This is just a classic payment function on a spreadsheet or a financial calculator, but I think there are two real approaches here. Dr. Dahle: The first one is a defined benefit. Basically, you’re saying when you turn 18, I want to have 50 grand or 100 grand in there or whatever you want to have. The second approach is a defined contribution, and this is kind of what I’ve used most of the time for my kids. I’ve just decided that this year, I’m going to put this much in, and usually that’s $4,000 because that’s what Utah will give me a tax credit on is my first $4,000 per kid that I put into the account, and so that’s what I’ve done over the years. This year for the first time, we actually maxed it out. Part of that is just because we have more money thanks to the income from the White Coat Investor, and so we actually maxed out 529s this year, $15,000 apiece, but in past years, we’ve only put $4,000 apiece in there. Dr. Dahle: That’s going to reach our goals because our goal is never to pay for the whole thing in the first place anyway, and plus we live in Utah, which is like the cheapest college in the country. The two best institutions in the state charge six or seven or $8,000 a year in tuition. It’s just not that expensive here, and so it doesn’t take that much money to pay for the whole thing, much less the portion we were planning on paying for our kids, but if you’re planning on paying for everything, you’re planning on sending them to a really expensive school, they’re going to go to dental school afterward, you’re going need to put a lot of money in there. Dr. Dahle: This doc’s third question is, “My job offers a Roth 401K and a pre-tax 401K. Do you see a benefit putting a certain amount through Roth, and if so, how should I distribute this among the two?” This is a common question, and actually a surprisingly complex question when you really dive into the numbers, but the general rule of thumb is that during your peak earnings years, you want to use the tax-deferred option in your retirement accounts. That’s because you’re saving money at the highest rate you’ll be paying taxes in your entire life, and then at a later point, you can take that money out at a lower effective tax rate because the money you pull out of these accounts can be used to fill the lower brackets. In other years, such as residency, the year you leave residency, any year that you have an extended maternity or paternity leave or a sabbatical or early retirement years as you’re kind of easing into retirement, those are all great years to use a Roth 401K. Dr. Dahle: Now there are some exceptions to this. If you have a dramatic fear of tax rates being dramatically increased in the future, you may want to hedge your bets a bit and put a little more into the Roth side. You may also want to use a Roth if you have a lot of other income expected in retirement, like a pension or perhaps a lot of rental property, that sort of a thing, and of course, super savers may also want to favor putting a little more money into a Roth 401K. I’m talking about the kind of people that are saving 50% of their income and planning on working a full career. But for most attendings in their peak earnings years, you’re going to want to use a tax-deferred option in your retirement accounts. Dr. Dahle: His final question was, “What are your thoughts on annually renewable life insurance. I understand that the price goes up every year or so, but it seems to make sense if I will only need it for 20 years provided I become financially independent before that. What are the drawbacks?” Well, you’ve pretty much identified them. The drawback is the price goes up every year, but if you’re going to become financially independent relatively early in life, you’ll actually end up paying less for your life insurance by using annually renewable term than you will be buying a 20 or 30-year level term policy. The downside, of course, is if you end up needing it for 30 years, well, it’s going to get pretty expensive toward the end of that 30 year period and you might be tempted to cancel it before you really should. But you know what, if I went back to do it all over again, I would have bought annually renewable term because I’m becoming financially independent relatively early in life and so that would have been the right choice for me. Dr. Dahle: Here’s another question. “It has come to my attention that a lot of the deductions and exemptions were changed with the new Trump tax code. Is there any way that you can do a podcast or blog about the new changes to the tax code in the upcoming year and how they would affect residents and attendings?” Well, I mean, there were a lot of changes. They all took place about a year ago. We did lots of blog posts about it at that point, but the main ones that are going to affect docs starting in 2018, right, this started a year ago, just because you’re reporting those taxes this year, but the main ones are that the brackets are lower. We’re just paying less in taxes most of us because of that. We also lost the ability to deduct unreimbursed employee expenses. That was something that was subject to the 2% floor on Schedule A, and is basically now gone. Dr. Dahle: The big change is the 199A deduction. This is the pass-through business deduction that we’ve all been trying to wrap our heads around for the last year. I think it’s going to become a lot more obvious in the next few months as we prepare our taxes what the rules are on that, and I plan some blog posts to talk about working through the forms where you report that, but I’m expecting a pretty big deduction for it from my work with the White Coat Investor, and a lot of doctors will get a deduction as well, as long as they’re not particularly well-paid doctors. If they can get their taxable income for their family down below $315,000, it doesn’t matter that they’re doctors. If they’ve got business pass-through income, they’re going to be able to take that deduction. Above that limit, doctors are specifically excluded from getting that deduction, unfortunately. Dr. Dahle: Another big change is the SALT limitation. It used to be a lot of docs itemized their deductions because they were paying a ton of money in state property taxes or local property taxes and state income taxes, so there are some docs in places like California and New York who lost this deduction, and because of that deduction, their tax bill is actually going up despite the fact that the income brackets are lower. That’s very unfortunate, but there’s not like there’s a lot you can do about it at this point. You’re pretty much stuck with it. If you’re one of those people that your tax bill went up, well, you’re going to be paying more taxes. Hopefully, you can get something else out of the tax changes that will help reduce that, but there are a few people whose tax bills actually went up with this change. Dr. Dahle: All of us are going to benefit from the simpler 1040, which is a nice change. It’s basically postcard-sized now. Of course, all the stuff that used to be on it is just now on new schedules. They’ve just moved the schedules, moved those lines somewhere in the tax return, so it’s really not that big of a difference. Of course, another big huge change is the higher standard deduction and the elimination of personal exemptions, so a married couple now gets $24,000 as a standard deduction, and so a lot of us that used to itemize aren’t going to itemize now, which does simplify our taxes a little bit. Doctors are still going to be among those that are probably still going to itemize, but a lot of Americans won’t be itemizing now where they used to. Dr. Dahle: Well, my first thought was $250,000 or $300,000 didn’t seem like much income for a GI doc, so I’d really see if you can get that income up and maybe look at that contract, maybe look at other jobs, maybe do some moonlighting, etcetera. But second, this is only $84,000. It’s not like you stand to get $200,000 or $300,000 or $400,000 forgiven and you’ve only got 50 or 60 payments toward it, so by the time all is said and done here, what are you going to get forgiven, $30,000 or $40,000? Is that really worth dragging them out for another five years? I don’t think it would be to me. If I had $84,000 in student loans and I made $300,000 a year, those loans would be gone in six months. No kidding. I’d pay them off in six months and I’d be done with them, so I’d refinance in that situation and pay them off. Dr. Dahle: Is it possible that the math would work out so you could come out ahead stretching these things out for another five years and getting 40 grand forgiven? Yeah, it’s possible, but I don’t think I’d bother. I think I’d pay them off, and then you don’t have to worry about public service loan forgiveness will go under either, but it’s your call. I suspect the numbers probably do work out that holding on to it and getting public service loan forgiveness comes out ahead, but it might be worth just getting rid of these things and getting them out of your life so you can move on. Dr. Dahle: Here’s a question. “I moonlight at two different places that total 20 hours or less a month on top of my full-time job at a 501c3. I’ve recertified my full-time job, but should I also certify my other employers? One of the moonlighting shops is also a 501c3, but the other one is not. Thanks for your time.” Well, no. You only need one qualifying employer. If you’re working full time directly employed by a 501c3 and you fill out the form every year, that’s good enough. Going to one you’re working at part-time isn’t going to make it any more likely for you to get public service loan forgiveness. One’s plenty. Dr. Dahle: Well, we got a problem here. First of all, the main problem is the way we’re looking at money here. For example, I had to pay cash for private college for our two boys while completing residency. No you didn’t. They can take out student loans. They can go to a cheaper college. They can be responsible for the cost of their own education. There’s no reason a resident should feel obligated to put a couple of other people through a private college. It’s nice that you wanted to do that. I’m sure they really appreciate it, but you really weren’t in a position to do that. You’re 50 years old. You’ve basically got a net worth of zero at this point with $300,000 towards retirement and a $300,000 student loan. Dr. Dahle: You’ve got to get real serious about finances real soon, and there’s not going to be much of a nest egg to live on. 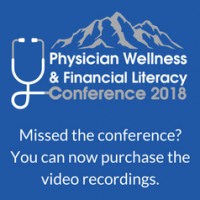 Sure, you’ve got your physician income to live on right now, but that’s going to be very different from what you’re living on in retirement if you stay on this course, and so really what has to happen here is there has to be a lot more money going toward building wealth, toward paying off these loans, and toward saving up a nest egg. A late start to medicine isn’t like a pass to not save. It basically shortens the runway and you’ve got to get off the ground faster. That means you can’t carry as much weight in the plane. The math just doesn’t work. You don’t get a pass on getting the plane off the end of the runway. Dr. Dahle: You’ve got to take something out of the plane, and that something is whatever you’re spending on now, and so you’ve got to cut spending more than you think you can. I know you feel like you’ve made big cuts, that you’ve cut what you can, but the truth is you probably have to cut more and get real serious about your spending plan. I would venture to say you’re probably not on a written budget and need to get on one. Dr. Dahle: So, but the question you asked was disability insurance before retirement? Yes, because if you become disabled, what are you going to do? It’s not like you’ve got all this money you can go live on. Maybe the student loans would go away and you’ve got $300,000. I guess that’s better than nothing, but the truth of the matter is, you would have a dramatic change in your standard of living, so I think even though I hate paying the higher rates for disability insurance in your 50s, I think you need it. Dr. Dahle: All right. We’re going to cut it off there. This is getting a little bit long. Make sure you send us your SpeakPipe questions. That’s at speakpipe.com/whitecoatinvestor. This episode is sponsored by our friends at Zoe Financial. The most common misstep people make with their financial planning is not starting today. The second most common misstep is partnering with the wrong advisor. Zoefin.com makes it easy to find a trustworthy and experienced advisor to help you reach your unique financial goals. As the premier network of independent fee-only advisors and planners, Zoe Financial rejects 95% of the advisors who interview to join their network, so you don’t have to waste time speaking with unqualified advisors and salespeople. Your patients trust and depend on you every day. Trust Zoe to connect you with an independent fiduciary financial advisor you can depend on. Visit zoefin.com/whitecoat to take their guided questionnaire and schedule your free call today. That’s zoefin.com/whitecoat. Thanks for leaving us a five-star review on iTunes. Head up, shoulders back. You can do this. We can help. See you next time on the White Coat Investor podcast. Disclaimer: My dad, your host, Dr. Dahle, is a practicing emergency physician, blogger, author, and podcaster. He is not a licensed accountant, attorney or financial advisor, so this podcast is for your entertainment and information only. It should not be considered official personalized financial advice. My parents make it easy on us kids- nothing to inherit. The two well off kids quit being their advisers when we realised it might mean filling the gaps in Dad’s budget he wouldn’t correct in any of the ways sensible to us (like spend a little less money on our little stepsisters than his wife prefers, given that he spent nothing on or borrowed from us at that age; or cut the cable that exactly fills that $200 shortfall…), and begrudge my stepsisters none of it now it’s clear that they (or one of them anyway) will and have stepped in to care for them when they need someone on the spot and when my dad dies and leaves my step-mom with 1/3 the income they now need, and $0 in the shrinking discretionary pension fund. And when my mom’s comments about the stocks she is buying and watching and trying to sell at the right time are as insane to us financially literate mutual fund investors as her political rants were in the past. But as Mom’s nearest minder I still buy her her meals most of the time we go out. And in-laws? I didn’t want to pry much, but was briefed about their situation in the past few years to help and be an asset as I have been since FIL died. Luckily MIL lives next to an awesome tax accountant and I just assured her that $300 for an estate and couple’s tax returns with RMDs and everything (with which I am only now becoming familiar, and for their sake less than for ours) when I am working full time 5 states away is a bargain. And that if she lets me review the tax returns it will be to learn, not to proofread. At least husband is an only child so we won’t have to argue with anyone but the taxman (or maybe someday the new boyfriend?) about the inheritance, and I’ve given up suggesting they leave something to the grandkids skipping us. Hopefully she’ll happily spend it all right up to the end, and not need money for an expensive nursing home. You know there is no right answer to most of those questions, right? As far as the last one, you generally want to spend taxable money first, but even that has some exceptions. You have to do what they’ll accept. Oma survived WW2 Germany eating maize (only fed to animals in that country and era) and selling her family’s belongings to trade for cigarettes from US GIs and then those to farmers for food. She wants a huge cash availability so the best we could do was get her to place a chunk of it into an immediately withdrawable CD. (Of course we’re talking 80+ not younger.) Perhaps had we been trying over the past 20 years to ensure her we have her best interests at heart AND know what we’re doing… but Opa was the money man and he’s no longer here to convince her that he believes that of us, and she previously had little say or interest. WCI- you may want to caveat your Inherited HSA response. If an HSA owner passed away, then their spouse inherits the HSA and it becomes the spouses’s HSA even if the surviving individual never had an HDHP or contributed to an HSA. It is when a person dies and the HSA is left to a non-spouse that the HSA becomes taxable as your suggest. Didn’t mean to insinuate that the spouse automatically inherits an HSA when the account holder passes away. You can name whoever you want as the beneficiary, but passing to a spouse has definite tax advantages over most others. Yes, if you don’t leave it to a spouse it isn’t an HSA anymore, it’s just taxable income. If that’s wasn’t clear in the transcript, well, I’ll try to do better next time. I’ve found it is much easier to communicate the little details well when blogging than when speaking. Lay off some of the risk of mistakes by getting a second opinion when managing parental assets and making other parental financial decisions with a periodic visit to an hourly, fee-only financial planner. No sales or management type, just advice. This could be construed as a self serving post, but wanted to add this concept. Good podcast. Heck, just getting them to a real advisor is the right thing to do a large percentage of the time. Amazing timing. My parents’ financial advisor unexpectedly quit today. The advisor was expensive (1%) but saved my parents from 50% penalties on RMDs last few years (my dad has zero interest and my mom forgot about RMDs in her upper 80’s) and helped with charitable giving. Also shielded them from constant requests for money from family members. I was toying with idea of saving them the AUM fee. But as I wouldn’t hire myself out, I have no business doing their finances for them. Also I neglected the sibling reaction. So instead I will be talking to one of the partners at the same firm tomorrow. Thanks! You can act rich or actually become rich. Few of us will ever be able to do both, and we certainly won't get rich by acting the part before we have the financial resources with which to pay for la dolce vita.